Founders Group International opened the Grande Dunes Golf Performance Center at Grande Dunes Resort Golf Club in Myrtle Beach, S.C. April 1. The elite facility is designed to fit golfers with the best equipment and improve their games with instruction using the latest technology found in few other places. During instruction and fitting, teachers will use Flightscope radar that tracks the golf ball in its entire flight, as well as high-speed cameras, analyzation software, and other technology. Golf Digest awarded Flightscope the video analysis award in 2016. The Grande Dunes Golf Performance Center is the only place in the Myrtle Beach area where golfers can see the ball fly outdoors using this technology. Instruction will also use FocusBand, a mind sensing headset that measures thoughts before and during a golf shot. Dale Ketola is a certified club fitter with many different vendors. He's been teaching for 15 years with a philosophy that revolves around sound technique, proper equipment, and the right attitude on the course. Ketola is a Class A PGA Professional who trained with Allen Terrell at Coastal Carolina University, the same coach who trained current U.S. Open Champion Dustin Johnson. Ketola will have specialized professionals join him to provide seminars or clinics like Dr. Bhrett McCabe, a sports and performance psychologist and licensed clinical psychologist. 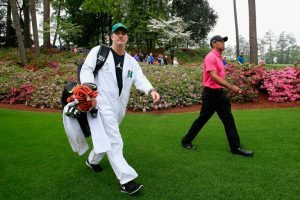 Dr. McCabe currently works with numerous players on the PGA and LPGA Tours. 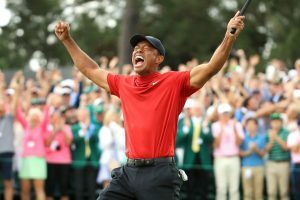 In addition to the golf professionals who will be gracing the new golf center, Grande Dunes will carry some of the best equipment known to golf including TaylorMade, Callaway, PXG, Fourteen, Scotty Cameron, Odyssey, and U.S. Kids Golf. The Golf Performance Center is at Grande Dunes Resort Golf Club in Myrtle Beach. 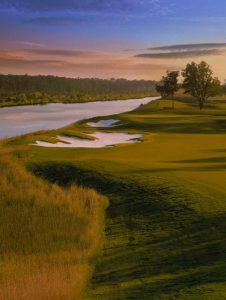 The 18-hole course is positioned on a high bluff creating spectacular views of the Intracoastal Waterway, Grande Dunes Marina and the four-diamond resort Marina Inn at Grande Dunes. The course has received numerous accolades over the years, including National Golf Course of the Year by the National Golf Course Owners Association. Both the fitting and the instruction bays will be on the driving range at Grande Dunes.